A year ago today a legend was lost, the original Starman David Bowie lost his silent battle with cancer. With a career spanning over fifty years, there were few lives or generations Bowie didn’t inspire through his music, fashion or film career. In fact, despite the long-johns, big hair and skillfully drawn eye-makeup; Bowie’s character Jareth became my first crush. 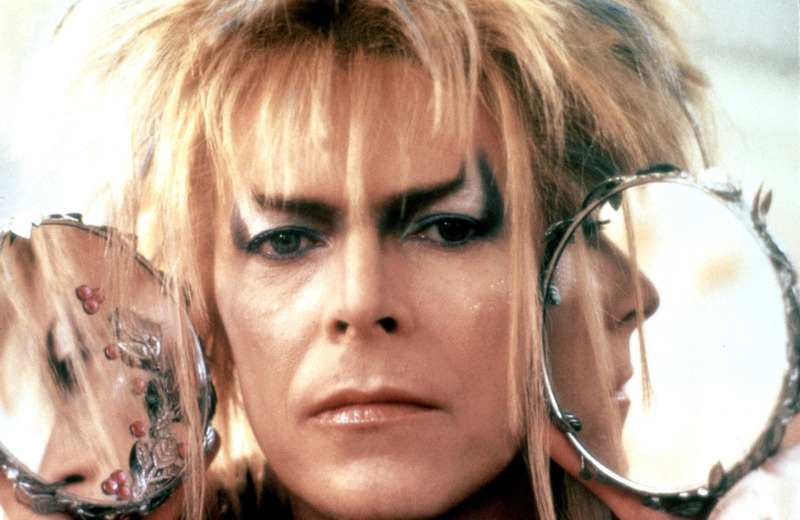 Looking at pictures of Jareth now I can’t help but be drawn in by the perfectly contoured nose, move over Kimmy K! 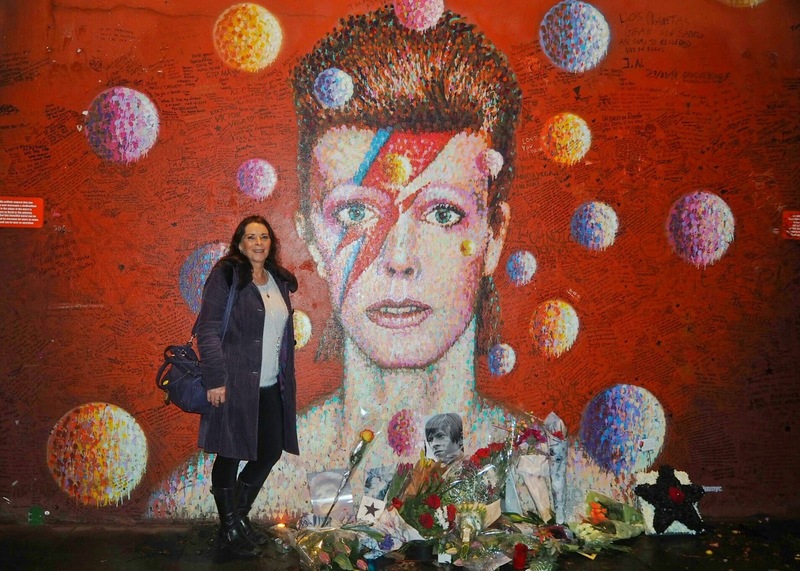 My Mum, a lifelong Bowie fan mourned his loss with the rest of the world. For her birthday I surprised her with the box below, containing a Snowie Bubble Bar from Lush Ltd and tickets to Bowie theatre show Lazarus. Snowie, the bubble bar tribute to Bowie with its Ziggy Stardust vibe was my favourite of the Lush Christmas 2016 collection. 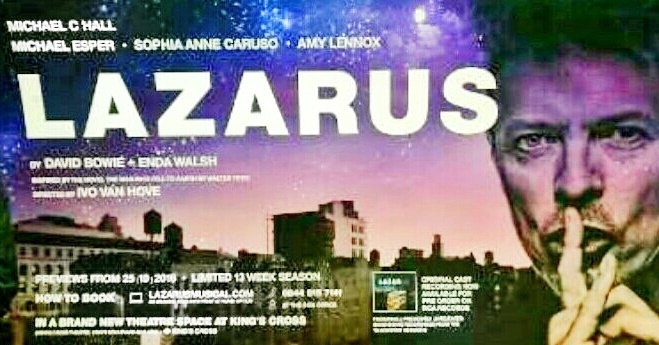 Lazarus is a musical theatre show, inspired by the novel ‘The Man Who Fell To Earth’, in which Bowie starred in the film adaptation. Being one of the last things David Bowie worked on before his death last January, the show has some poignancy and contains some of his best loved songs. Starring Dexter and Six Feet Under’s Michael C. Hall as Thomas Newton, the play conveys Newton’s isolation and longing to leave new world New York to return to his home planet. With a disjointed storyline and full Bowie soundtrack, the audience watches Newton’s character as he is slowly driven insane by the loss of his love Mary-Lou and his disorientation from life. Whilst you can appreciate the underlying context of the play, I couldn’t help but feel slightly underwhelmed by something which had the capabilities to be truly great. Shown at pop-up Kings Cross Theatre, the seating is only slightly tiered and if you are short like my Mum and I, you may have difficulties viewing, which may also be problematic to engagement with the play. Overall, if you are a lifelong Bowie fan go and see it as it’s only scheduled to be shown until the 22nd January 2017. From a personal perspective, I was bewildered by the plot and wasn’t sure what to make of it. 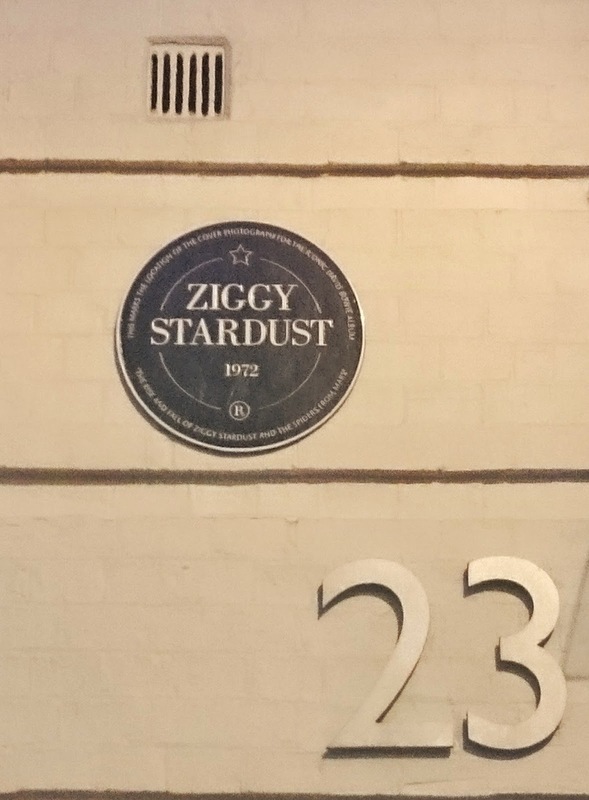 A plaque was placed at Heddon Street to commemorate the first sighting of Bowie’s jumpsuit wearing alter ego Ziggy Stardust, who was reportedly first seen on a damp January evening at this spot in 1972 posing for pictures for album cover ‘The Rise and Fall of Ziggy Stardust and the Spiders From Mars.’ The plaque is now considered an iconic place for Bowie fans and is surrounded by an array of bars and restaurants, if you wanted to see it for yourself and enjoy a drink or two. It is also within walking distance to Piccadilly Circus Tube Station. Located directly opposite Brixton Tube Station, down the side of Morley’s department store is an eye-catching mural created by Aussie street artist James Cochran in June 2013, which is a magnificent tribute to the original Brixton boy. 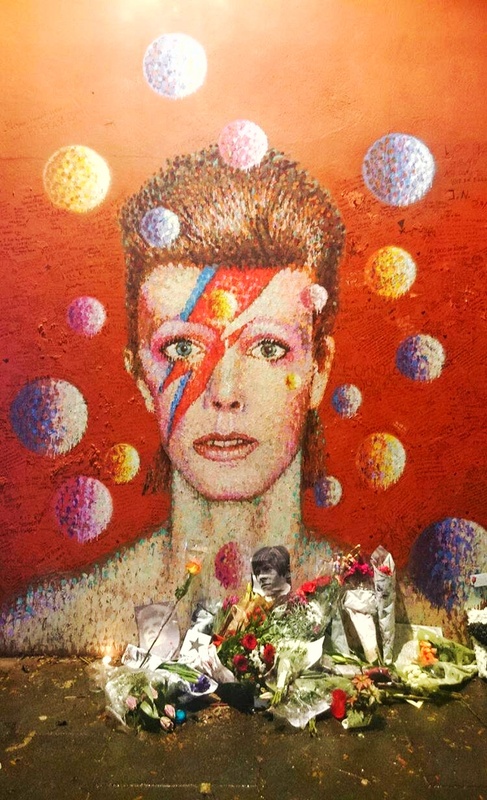 The mural is truly remarkable and on our visit (the day before what would have been David’s 70th birthday), tributes, pictures and flowers had been left in his honour. Having our ‘Bowie Day’ made me reminiscent of the V&A exhibition my mum and I attended ‘David Bowie is’ in 2013, which went on to be the V&A’s best selling exhibition. 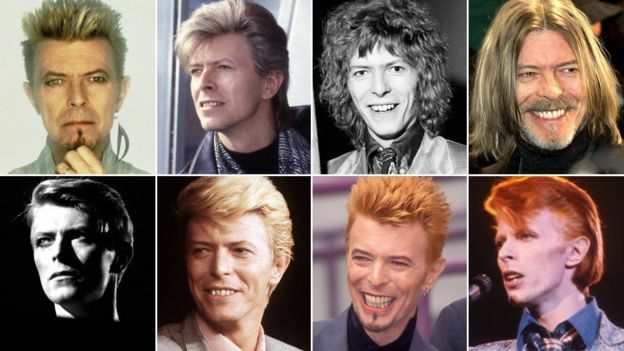 Like his song ‘Heroes’, David Bowie was a hero himself to legions of worldwide fans. It was touching to be able to witness some of these iconic landmarks with my mum to celebrate a true British legend.